Ted Chiang, Madrid, Spain, 24/02/2011. Welcome to Wild Read! Inspired by the writing of Octavia Butler, our speculative fiction book club reads and discusses books imagining a range of possible futures and parallel presents from diverse cultural perspectives. Drawing upon different experiences of the present and different understandings of the past Wild Read book selections use adventurous plots and unreal settings to explore very real themes like race, gender, spirituality, science, mythology and power. Join us Sunday, June 22nd at 2pm for a discussion of Ted Chiang's Stories of Your Life: and Others. All are welcome but please RSVP at our store, Facebook, by phone (612-454-0455) or by email (info@moonpalacebooks.com) and we'll set up a chair for you. Buy your copy at Moon Palace Books and get 20% off. Established in 1968, the Clarion Writers' Workshop is the oldest workshop of its kind and is widely recognized as a premier proving and training ground for aspiring writers of fantasy and science fiction. 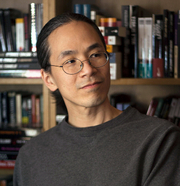 Ted Chiang is one of the most celebrated science fiction authors writing today and is the author of numerous short stories, including most recently "Exhalation," which won the Hugo, British Science Fiction, and Locus Awards. His recent collection is Stories of Your Life and Others. nancy kress, An Alien Light. ; ted chiang, The Evolution of Human Science (short story). Amazon.com Ted Chiang Author Page. Ted Chiang is currently considered a "single author." If one or more works are by a distinct, homonymous authors, go ahead and split the author. Ted Chiang is composed of 7 names. You can examine and separate out names.